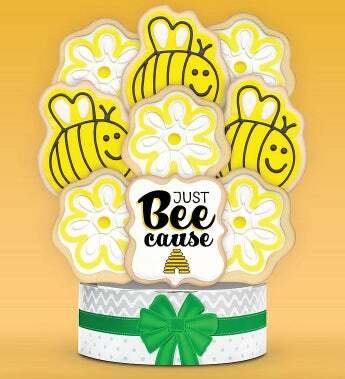 Brighten their day "just because" with this beautiful & delicious cookie arrangement. These unique buttery shortbread cookies are hand decorated with candy-like royal icing, and individually wrapped with care. This impressive gift is sure to make them smile!